Meeting Room Hidden Objects. Games online. 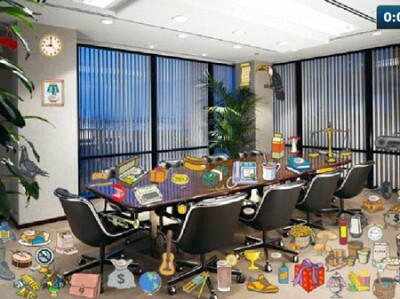 This is another hidden object game, in which you have to find the items hidden in the meeting room. Retrieve everything from the list and don’t forget the 10 bonus gold coins.